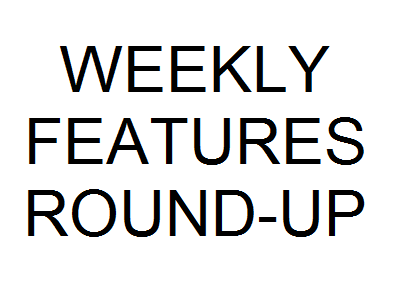 It’s time for the weekly round-up of all the features posted on the blog this week. You can check out the complete list of features and links, after the break. The posts made by this account were created by past Digital Tour Bus writers, which include: Mariah Spiering, Paige Kochanski, Elexis Hipp, Hayley Hoyle, Alyssa Mount-Bycholski, Javi Perez, Anne-Marie Totah, Bri Born, Grayson Maslin, Christina Major, Emillie Marvel, Kimberly Lady, Lisa Perez, Sara Ruben, Natasha Nadiah, Marissa Linzey, Ashlee Hussey, Alana Ludwig, Katy Fleming, Erin Miller, Rachel Sappie, Jessica Armstrong, Yasha Castro, Jodi Bushnell-Aleman, Brittany Bohn, Christina Bennett, Emily Young, Lizzie Baumgartner, Stephanie Kompradith, Deona Ragsdale and Corey Kleinsasser.